AZUSA, Calif., Jan. 16, 2013 -- Northrop Grumman Corporation's (NYSE:NOC) Azusa campus recently concluded its 16th Annual Holiday Shoe Box Gift Project drive, collecting more than 1,500 shoe boxes for the Kid's Stuff U.S.A. program sponsored by Feed The Children, an international, nonprofit relief organization. The shoe boxes were filled with holiday gift items for children ranging from infants to teenagers, and included clothing, toys, games, books, dolls and personal care products. "Helping out our local communities is part of Northrop Grumman's corporate citizenship program," said Stephen J. Toner, vice president of Northrop Grumman's Azusa Operations. "Employees donate their time and resources throughout the year to give back to the community. But their generosity is appreciated even more during this time of year as children who might not otherwise receive a gift received one." "Once again, Northrop Grumman and its employees have answered the call to brighten the holiday season for so many who would otherwise not be celebrating," said Tony Sellars, spokesperson for Feed The Children. "Their dedication to the Holiday Shoe Box Project has helped Feed The Children deliver help and hope to thousands of children around the country." 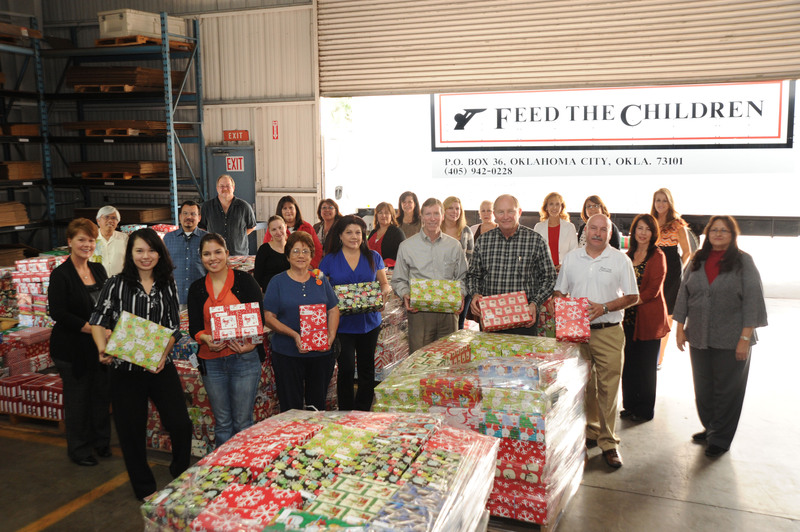 Since the inception of the company's Holiday Shoe Box Gift Project in 1997, more than 19,000 shoe boxes have been filled with gifts for needy children and distributed by Feed The Children to those in need locally and across the United States.